Hello everyone. We have been a little busy lately. Why? Because we have a new addition to the family. 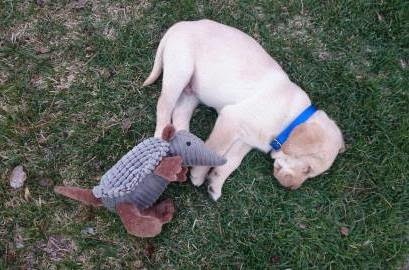 Erik and I have wanted a yellow lab for awhile now. We had met with a few people but it never worked out. 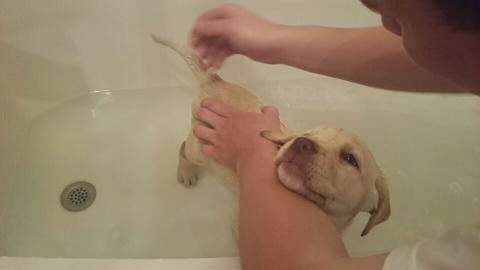 "Yellow lab, two hours away for a decent price. Are you down?" I was so down. As soon as I got off work we headed straight to Idaho. We had our pick of the lot and chose this little boy. And we love him so much. 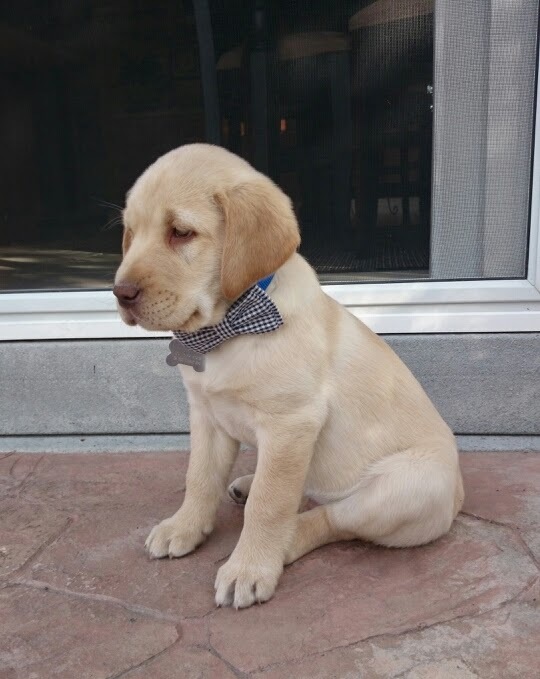 He is 9 weeks old. Has so much energy and loves to chew on everything. We chose the name Scout because it means first explorer and we think of him as our first kid. We can't wait to share many first adventures with him.